Each year, when instructor applications open for the Michigan Hoop Dance Retreat, I hold my breath and wonder ‘Have we seen it all? Maybe there are no new workshops’. I worry that people will be bored, or that we won’t be able to top the year before. But I really don’t know why I worry. Seriously, this line-up is so freaking amazing. We have more instructors (and more workshops) than ever before with an unbelievable range of hoop dance skills. Flow, tech, doubles, spins, wraps, fire, and more. You won’t want to miss this year’s retreat! Click to get your ticket to MHDR2018! Hi! I’m Missy Cooke. A few years ago I dreamed of a weekend full of hoop dance, friends, and learning, where we could all come together to improve and share our skills. I never imagined the Michigan Hoop Dance Retreat would evolve into such a loving, fun, happy, flow family. You all mean the world to me, and I am truly blessed to have met each and every one of you throughout your flow journey. Can’t wait to see you in August! Sarah Woelfel (Aka Sarah Supernova) is the owner and operator of Supernova Hoops in Plymouth, WI. 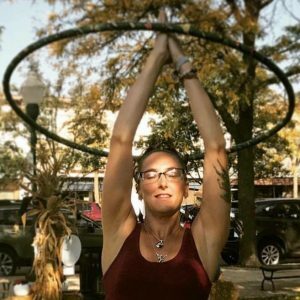 She is a Hoopnotica certified instructor and has been teaching adult and children’s hoop dance classes and workshops for 4 years. She has taught various workshops for Girl Scout troupes, local events, benefits and for local hoopers. Sarah currently teaches two kids hoop dance teams at In Motion Dance Studio that compete at various dance competitions. She has taught with In Motion since June 2015, and is the event manager for Frostbite Flow Arts Camp (2017 & 2018). 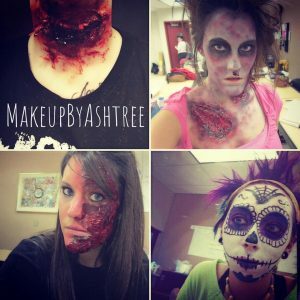 This is her 3rd year teaching, as well as vending, at MHDR. She will have day hoops and fire accessories available for purchase. Get ready for our Friday night fire jam! 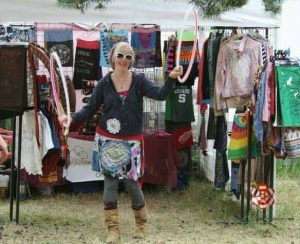 Jen is vending as well as offering a hoop play workshop this year. OLD GONE NEW!! Repurposing the old, into something new! Creator of recycled, refashioned, inspired, inventive, sensational designs. Jennifer Spiece is a hoopsmith (beginner, polypro, hdpe) and clothing and jewelry designer. A true hooper at heart, all of her clothing redesigns (and other fashion oddities) have hooping in mind. Deanna Bedoun is a Michigan native performer and hoop dance instructor. She is the founder of Silver Millennium Hoops, teaching weekly classes in Farmington Hills. 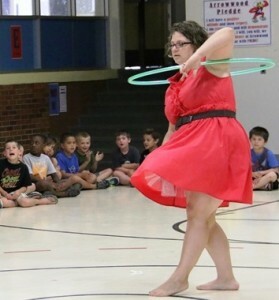 She has been hula hooping for 7 years, and has since fallen in love with other ofrms of flow arts as well. She has a passion for learning and teaching, and cannot wait to share at MHDR2018! Anna has been dancing in the Lansing area since childhood. She was a member of the Capital Area Ballet Theater (CBT), danced with the Blue Lake International Ballet Ensemble as an American ambassador in 2014, and this summer she is choreographing and performing with the Community Dance Project, Dance Lansing. Flow arts entered her life in 2015 and she now dances with whatever she can get her hands on. She specializes in dance flow, fans, hoop, duel hoop, and fire arts. Hello everybody, my name is Josh. 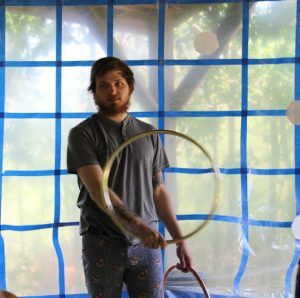 I’m very excited to share my experience and joy of hooping with you! I am a flow artist from Lansing MI and have been spinning about three and a half years mainly dual prop manipulation – buugeng and hoops mostly. I’ve had the privilege to have taught at a few studios and cannot wait to show you the combination of different styles and methods I’ve compiled from various people who’ve inspired me! Put on your creative cap, and explore the infinite possibilities of prop manipulation with us this year.See you there! Hey guys, Allison here! I am so excited to be attending my third year at MHDR, and even more excited to be instructing and sharing my knowledge this time around. I have been hooping for almost four years and spinning fans for one. When I’m not dancing with my circles, I am either attending SVSU in pursuit of my Elementary Education Degree or working directly in the schools with children in my community. This little dragon has been dancing with fire since 2011. 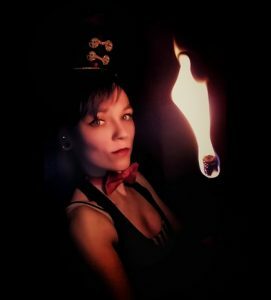 What started as a love affair with hula hoops quickly grew to encompass fans, contact staff, juggling, puppy hammer and of course fire eating. 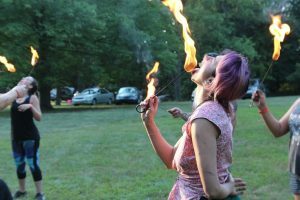 An active member of the Ann Arbor flow arts community, Amy helps run the local for jam and has taught private lessons as well as at local festivals and is thrilled to be a part of Michigan Hoop Dance Retreat this year. While rarely seen without a hoop Amy is also a full time licensed massage therapist, as well as a student pursuing a doctorate of physical therapy. Sam Ogletree a.k.a. “Hip-Hop Hooper” is a Georgia native who is a self-taught hooper of four years. 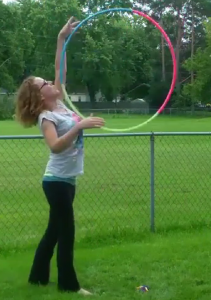 She wasn’t even able to waist hoop when she made a new years’ resolution to learn from YouTube. She loves to dance (not necessarily well! ), do yoga, and is a professional photographer. Her hoop idols are Grace Good, Lee Jeffries, and Rachel Sullivan. She has attended every MDHR since it began but has yet to be an instructor. MHDR has been a huge part of her life in Michigan so far—she has made lifelong friends and established connections with hoopers all across the state. 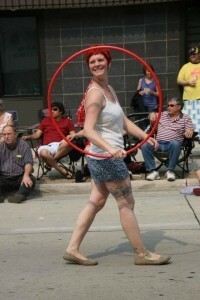 She has performed for Detroit community and school events and for the Michigan Science Center’s After Dark..
Stacey Mundt aka Harvey Street Hooper, performs with the BTown Hoopers and has organized hoop jams in downtown Plymouth, MI. She has hooped to cheer on participants at the Heart Walk and MSMuckfest and is a certified Hoop Love Coach, offering group instruction, birthday parties, and other hoop events. 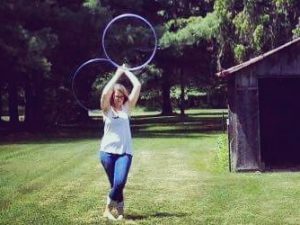 My name is Natasha and although I’ve been hooping for 7 years, I didn’t find my tribe until 2015 when I attended my first hoop workshop. Since then, I have spread the hooplove as a performer, instructor, and mentor. I am proud to be a member of this community and I am honored to contribute to this year’s MHDR by leading our first Women’s Circle. Hey! My name is Maggi and I have been hooping for just over a year now. When I am not hooping or trying my hand at fans, I am studying Chemistry at SVSU, working with people with special needs, or taking road-trips. I have struggled with an anxiety disorder my entire life, but just got diagnosed with it a few months ago. I love helping other humans with whatever they need and I hope I can spread that love on to you all. Click Here to Go to MHDR2018!